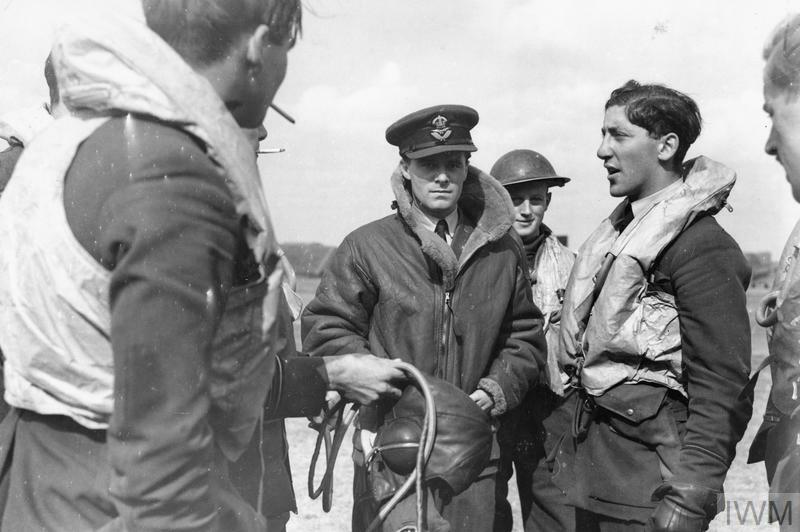 RAF pilots were at the heart of the Battle of Britain. Just 3,000 men stood between Britain and a German invasion – those who Winston Churchill famously called ‘The Few’. From terrifying dogfights in the skies over England, to the impact of heavy losses and extreme fatigue, listen to the memories of men who played a vital role in Britain’s struggle for survival in the summer of 1940. Supermarine Spitfires and Hawker Hurricanes were the two dominant RAF aircraft flown in the Battle of Britain. The state-of-the-art Spitfires were faster, sleeker and could climb higher than the Hurricanes. The Spitfires took on German fighter aircraft, while the Hurricanes usually went for the enemy bombers. Hurricanes outnumbered Spitfires and, although slower and unable to reach the same altitudes, were more robust. The Spitfire has since become the more famous of the two, but the Hurricane played an equally important role in the air battles of 1940. Pilot Geoffrey Page was one of the few pilots to fly both the Spitfire and Hurricane, and in this clip he talks about the differences between the two aircraft. Audio: Geoffrey Page interview © IWM (SR 11103). 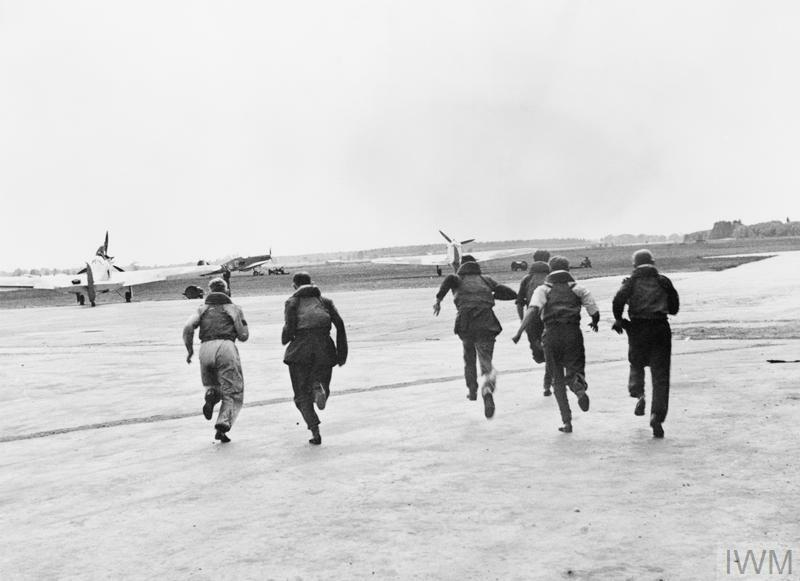 RAF pilots began their day very early, waking at dawn and being driven out to their aircraft. Now ready for action, they waited for the order to ‘scramble’ – meaning enemy aircraft had been sighted and the pilots needed to get up into the sky and intercept them. Each group of pilots was headed up by a senior pilot who gave instructions and led the aircraft towards the enemy. 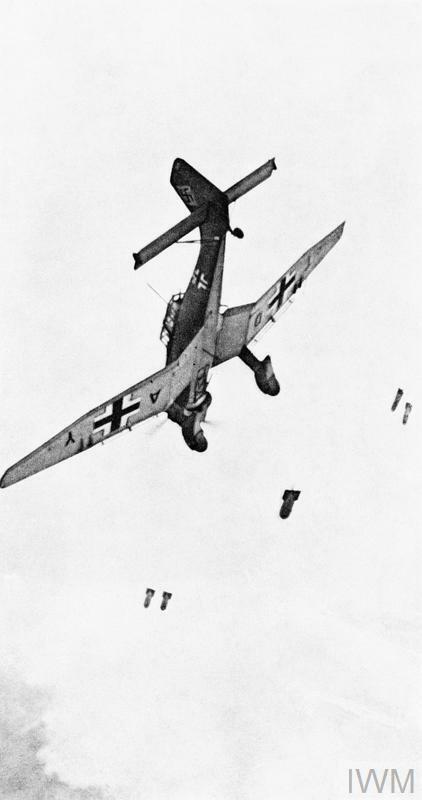 Once the Luftwaffe (German Air Force) had been encountered, the fight was on and it was every man for himself. 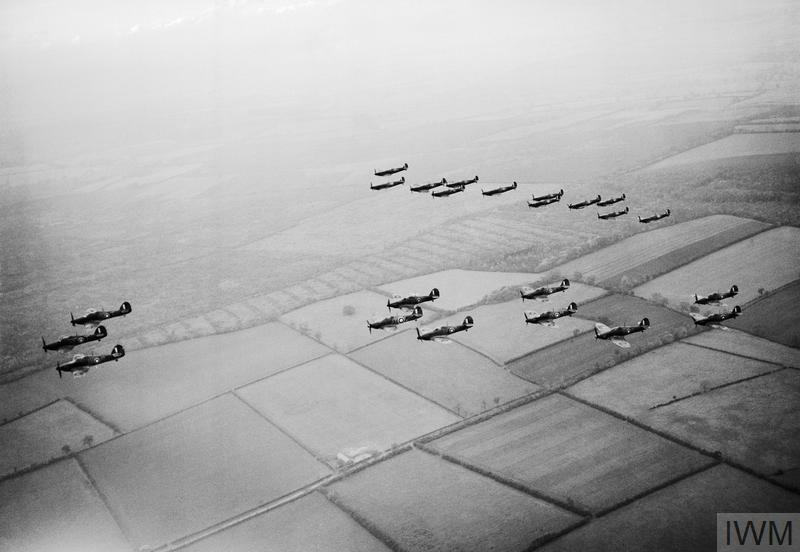 In the confusion and danger of aerial combat, it could be all too easy to suddenly find yourself outnumbered by a larger enemy formation, as Norman Hancock – who was based at RAF Northolt – discovered. Audio: Norman Hancock interview © IWM (SR 10119). Image: © IWM (CH 1398). During the Battle of Britain, nearly 200 RAF pilots became air ‘aces’ – those who had shot down at least five enemy aircraft. Among the top aces of the war were Czech pilot Josef Frantisek, the Englishman Eric Lock and Brian Carbury, from New Zealand. The Messerschmitt Bf 109 was the main type of German fighter aircraft that Allied airmen combatted during the battle. It was one of the best fighter aircraft of all time and RAF pilots had to use all their skill and ingenuity to shoot them down. Listen to the clip to find out how Roland Beamont, a pilot with No. 87 Squadron, managed to do just that during a fast-paced combat over Dorset in August 1940. Audio: Roland Beamont interview © IWM (SR 10128). 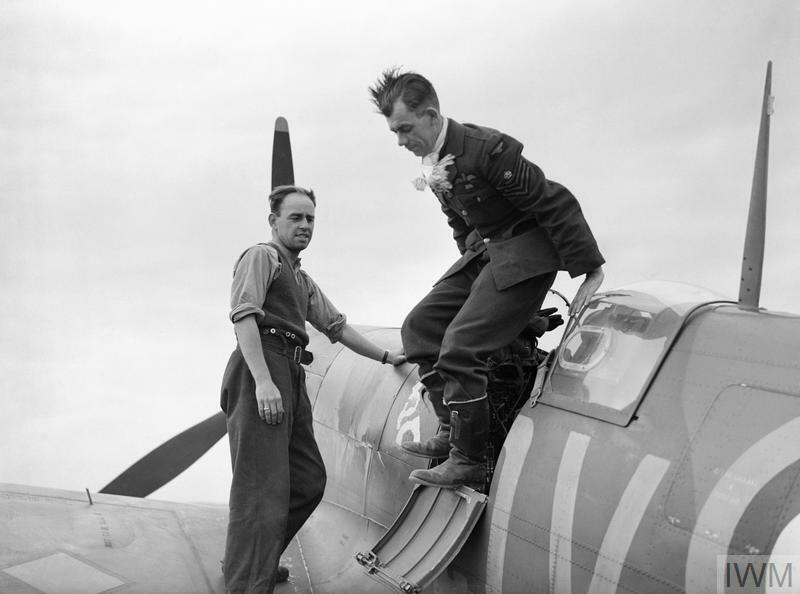 For much of the Battle of Britain, RAF successes were all too often outweighed by losses. The Luftwaffe was a formidable enemy and RAF airmen underestimated their German counterparts at their peril. Pilots had to think quickly and work fast in the high-stakes dogfights that took place. Life or death decisions had to be made in the space of seconds. Aircraft and pilots could be impaired in a range of ways and if anything went seriously wrong during a sortie (mission), an emergency landing or a parachute bail-out could be the only option left. This wasn’t always possible though, and huge numbers of men were shot down and never seen again. Hear how George Unwin, who served with No. 19 Squadron, was shot down by a Dornier and managed to make an emergency landing in September 1940. Audio: George Unwin interview © IWM (SR 11544). If a pilot was severely wounded or his aircraft was badly damaged, he could bail out and use his parachute to get him safely back down to earth. But this presented problems if an aircraft was hit near the coast or over the sea, as the parachute could carry the airman into the water. Many perished while awaiting rescue, as the shock to their system of hitting the cold water could lead to death. Over 200 men lost their lives this way during the Battle of Britain. Douglas Grice was shot down and bailed out over Harwich in September 1940. Although he was badly wounded and landed in the sea, he survived. Audio: Douglas Grice interview © IWM (SR 10897). Many pilots were seriously wounded in aerial combat – mainly from burns and bullets – and some faced the prospect of long-term disability. 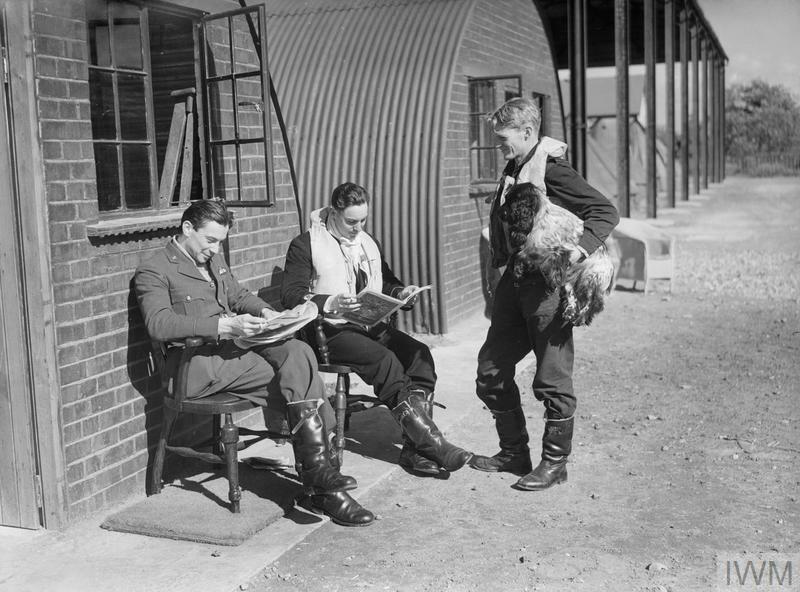 The Guinea Pig Club was set up in 1941 to treat airmen who had suffered burns with experimental plastic surgery. By the end of the war, it had 649 members. Some of the injuries that men suffered from were horrific and took months – even years – to heal and even longer to come to terms with. George Bennions, who served with No. 41 Squadron, was badly affected by his terrible injuries after being shot down. Audio: George Bennions interview © IWM (SR 10296). 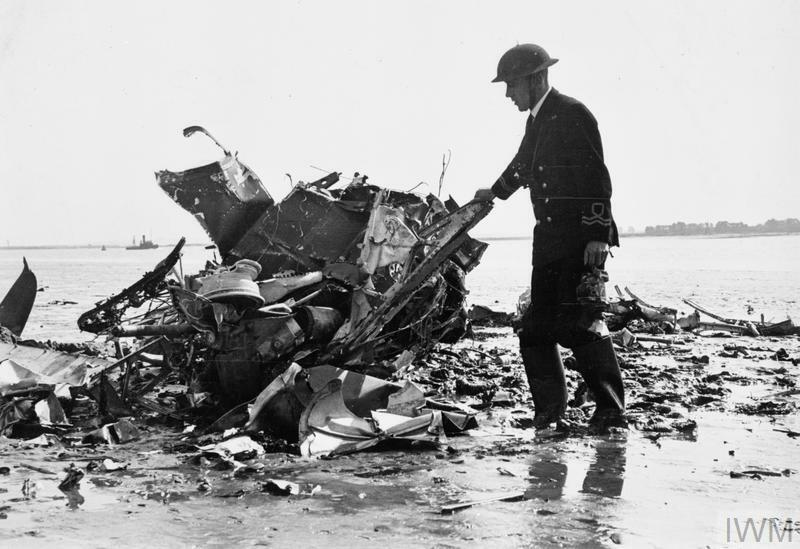 Both sides suffered heavy losses during the Battle of Britain – 544 pilots, which was about one in six, from RAF Fighter Command were killed and 2,500 Luftwaffe airmen lost their lives. 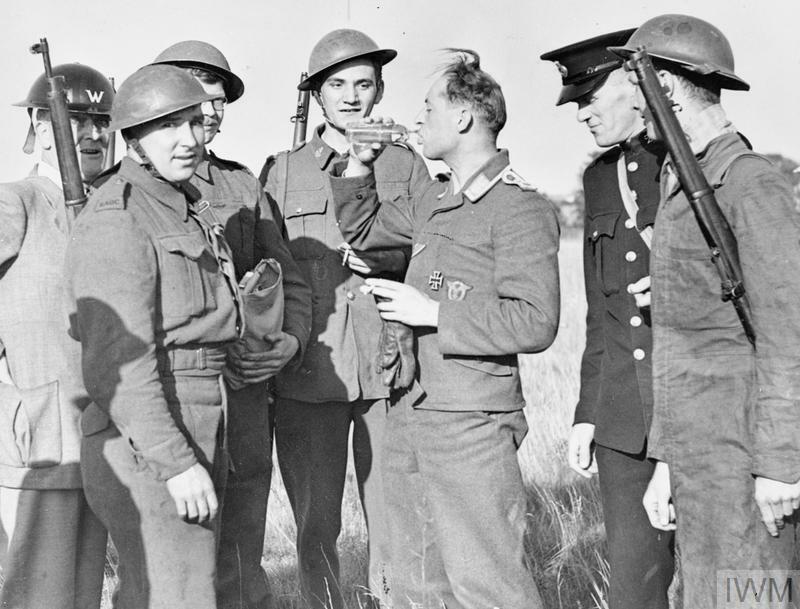 Men from a range of countries fought and died during the battle – from Poland, Czechoslovakia and Belgium to Canada, Australia and New Zealand. All of them are remembered on the Battle of Britain memorial on the Kent coast. The unrelenting nature of the battle meant that there often wasn’t time to mourn the deaths of friends and colleagues, as John Kaye, who served with No. 302 Squadron, found. Audio: John Kaye interview © IWM (SR 11186). The heavy losses were compounded by the continuing need for more pilots and the deployment of men with minimal training in the aircraft they were going to be flying. They were often very young, too: the average age of an RAF fighter pilot in 1940 was just 20 years. Of those killed, the average age was 22. 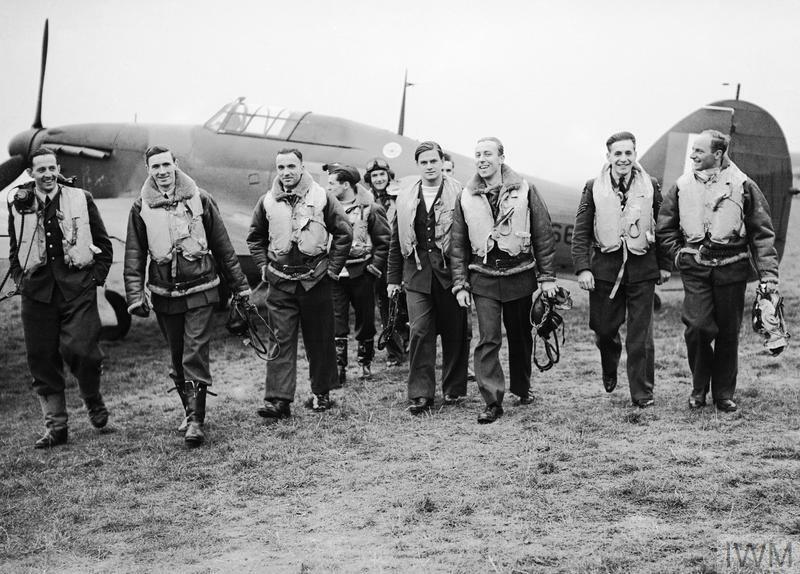 As the battle wore on, RAF Fighter Command had ever fewer reserves of experienced pilots to draw on and men were sent into combat after only a few hours of training. By mid-August the shortage became acute and had both military and political leaders worried. Alan Deere served with No. 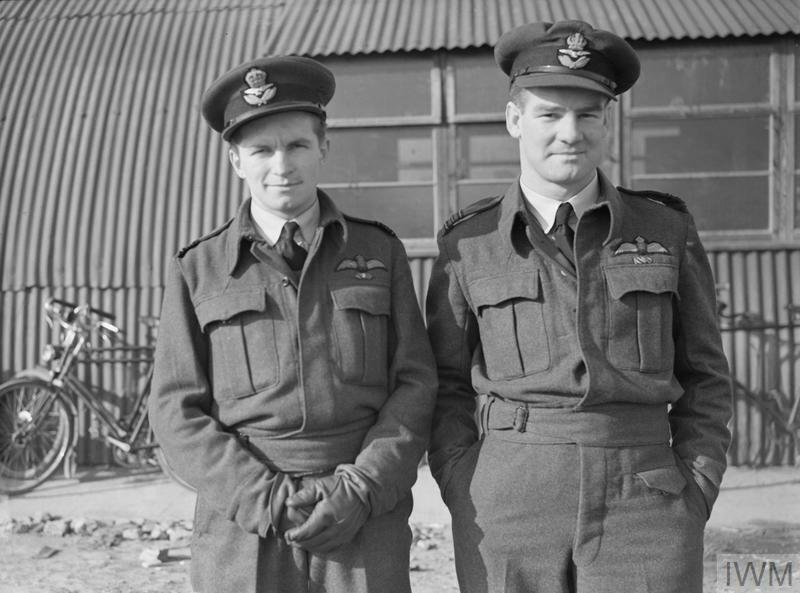 54 Squadron and recalls the eventual fate of two inexperienced pilots in this sound extract. Audio: Alan Deere interview © IWM (IWM SR 10478). The lack of any real pause in the battle meant that there just wasn’t the time to devote to properly training men, not only to fly – but to fight. Combat skills could only be picked up from real experience over time, but time was of the essence. Jimmy Corbin joined No. 66 Squadron in August 1940 with very little experience – he had had just 29 hours' flying time in the Spitfire. He went on to earn a Distinguished Flying Cross, but at the start of his flying career he remembered being very naïve. Audio: William 'Jimmy' Corbin interview © IWM (IWM SR 32057). 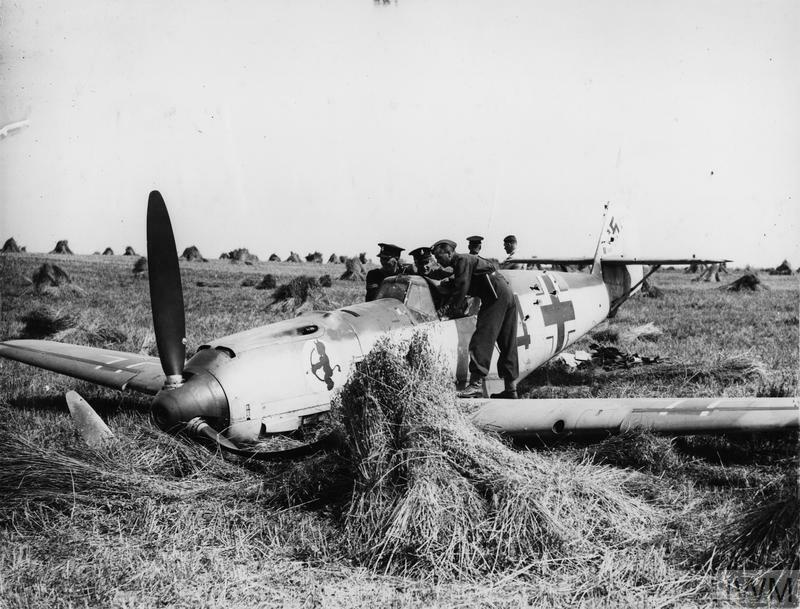 By mid-August, it was clear that the Luftwaffe hadn’t managed to secure air superiority over the RAF. The German tactics now changed, and airfields were targeted in bombing raids. 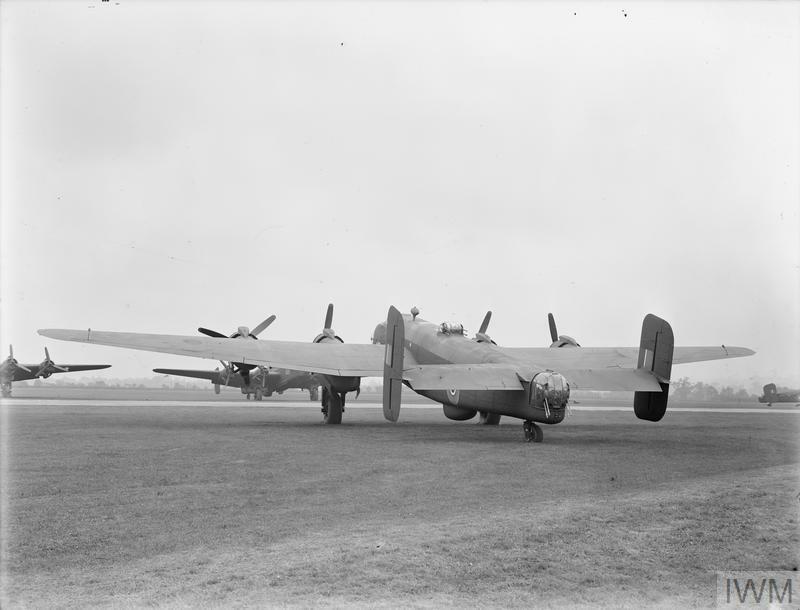 The aim was to seriously damage the RAF’s ability to continue the fight by making it difficult for pilots to rest, take off and land at their bases. One of the worst hit was RAF Biggin Hill, which suffered heavy bombing on 18 and 30 August in particular. William David, commander of No. 213 Squadron, remembered the raids on RAF Tangmere. The strain placed on pilots during the Battle of Britain took a huge toll on their morale and their ability to keep operating at such a demanding pace. At the height of the battle, pilots could be scrambled into action four or even five times a day. Fatigue became as much an enemy as the Luftwaffe and was a very real danger in a job that required such total concentration, skill and accuracy. 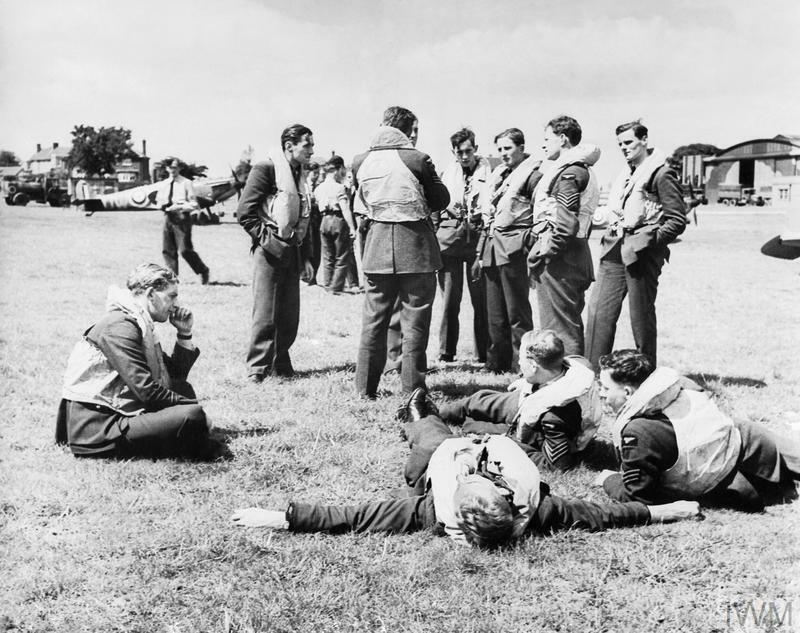 One pilot remembered being so tired at one stage in the battle that he slept through an air raid on his base, Biggin Hill. In this clip, Denys Gillam of No. 616 Squadron talks about the effects of his demanding daily routine. Despite the chronic fatigue, getting proper rest at night was very difficult for the airmen, given the need to be constantly ready to go into action and the knowledge that they would have to do it all again tomorrow. The camaraderie and humour that pilots shared played a role in distracting them from the strains of the battle. As well as the lack of sleep, pilots had to deal with the constant worry of what the Luftwaffe would throw at them next. As pilot Harold Bird-Wilson remembers here, airmen had to cope with the sight of huge enemy formations heading towards them day after day and the resulting fear many of them felt was not surprising. By September, Germany had changed tactics again in its efforts to break Britain’s ability to stay in the war. The Luftwaffe started making air raids on London on 7 September – the start of what became known as the Blitz. This gave RAF Fighter Command a much-needed chance to regroup. When the Luftwaffe launched a series of heavy raids on southern England on 15 September it found the RAF was stronger than expected and the Luftwaffe suffered heavy losses. This had a severe impact on German morale and revealed that a seaborne invasion of Britain wouldn’t be possible. David Cox, of No. 19 Squadron, had a close escape on 15 September, now known as ‘Battle of Britain Day’. Audio: David Cox interview © IWM (IWM SR 11510). During the Battle of Britain, some RAF pilots developed a degree of respect for the German pilots they were facing. They acknowledged their skill as fighters – even if they disliked their presence in the skies over Britain. But for Ronald Berry, the bombing of civilians turned his feelings of professional regard to vengeful hatred. The crucial role that a few thousand RAF pilots played in protecting Britain from German invasion in 1940 has since become almost legendary. They took on a tough, determined, well-trained enemy and succeeded in not only withstanding months of heavy aerial attack but also in convincing Hitler to abandon his plans to invade England. But at the time, ‘The Few’ weren’t always aware that they were making history, and many didn’t appreciate their part in the wider battle. Roland Beamont describes here what motivated him and his fellow pilots during that intense period in 1940. Audio: Roland Beamont interview © IWM (IWM SR 10128).